Take a flight back in time to Scotland and the Orkney Islands in the 1950s and relax with this book that is based on the story of Jane Eyre. With a compassionate character that you will find yourself rooting for, this book hits all the features that a true classic needs. The modern overtones seem to make the story more beguiling and believable. Whether you are a Bronte fan or not, this thoughtful escape reading is a treasure you won't soon forget. 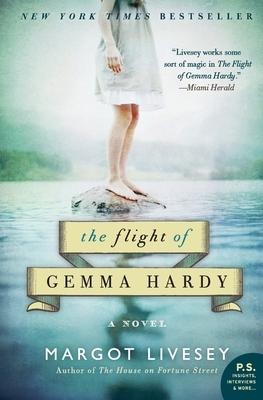 The resonant story of a young woman’s struggle to take charge of her own future, The Flight of Gemma Hardy is a modern take on a classic story—Charlotte Brontë’s Jane Eyre—that will fascinate readers of the Gothic original and fans of modern literary fiction alike, with its lyrical prose, robust characters, and abundant compassion. Set in early 1960s Scotland, this breakout novel from award-winning author Margot Livesey is a tale of determination and spirit that, like The Three Weissmanns of Westport and A Thousand Acres, spins an unforgettable new story from threads of our shared, still-living literary past. — Marie Claire, "Four New Page-Turners to Keep Bedside"